The bones of meat geese are between 2 weeks and 6 weeks old, and the muscles grow fastest during 4 weeks to 9 weeks of age. According to the law of growth and development, the meat and geese can be rapidly fattened in greenhouses to obtain the desired economic benefits. First, goose shed setting: generally choose to build sheds on the slope near the pond, river ditch, etc., equipped with troughs and sinks, feeding an average of 2-4 bred geese per square metre. It can also be used for large-scale breeding with fruit and fish. The advantage of building sheds is to reduce the movement of geese, reduce energy consumption, and increase their feed remuneration. Second, nutrient requirements: This stage of the meat geese grow rapidly, strong appetite, can use a lot of roughage, so the main ingredients of compound feeds should gradually transition to crude protein 14% -16%, metabolic energy 12.13 MJ / kg, calcium 0.9% , Phosphorus 0.6%, Lysine 0.85%, Methionine + Cystine 0.5%, Pantothenic acid 12.6 mg/kg. Third, the fattening method of straw grazing goose: the collected green feed such as sweet potato vine, water hyacinth, water lotus, board leaves, weeds and other mixed beating, and then mix with the powder stirring, feeding 6 meals a day, At 10 o'clock in the last meal, the selected green feed should avoid poisonous plants such as sorghum seedlings, oleander leaves, and bitter leaves. Dry mix with powder feeding method: feed such as carrot, carrot, pumpkin, squash, etc., mash it, mix with powder, feed 6 meals a day, and also feed one meal at about 10:00. Pellet feed and green feed feeding method: The pelleted feed is placed in a bucket, allowing meat geese to feed freely, and then placing the green feed on wooden racks, pallets, plates, or water surfaces to allow the geese to eat freely. Usually every day to feed 2-4 kg. This method is mainly applicable to farmers who have a large amount of palatable green fodder, such as a large number of old leaves and a large number of by-products such as radish cherry in the vegetable production area, as well as green feeds such as ryegrass cultivated in winter free fields. Full-grain feed for grass powder feed: The grass powder (eg wolfberry, pine needles, thorny leaves, peanut vines, etc. dried or air dried, made of green-blue powder) is formulated with soybean cakes, corn, etc. to make full-priced pellet feed. You can use the pellet tray to feed 4 meals a day. You can also use the automatic feeder or bucket to feed the whole day. In addition, ensure that there is sufficient clean drinking water. Flexible grazing: If there are grasslands nearby, there are plenty of plants in the fields or in the water after harvest, and you can grazing nearby. Attention to disease prevention: In the rearing and management of geese, it is mainly to prevent and treat digestive system diseases. Can be used in a large number of biological veterinary medicine feed, such as promoting bacteria, probiotics, yeast, lactic acid bacteria, etc., so that the intestines of the geese digest well, but also for a variety of pathogens caused by diarrhea, enteritis have a good preventive effect. In addition, consciously applying some plants that are both feed and Chinese herbal medicines such as purslane, garlic, peach leaf, ginger, etc., can also play a very good control effect. 1.ZF series of reflective shadowless lamp is widely used in various occasions operation lighting needs,is the ideal lighting equipment of modern operation room. 2.Full close streamline lamp body design completely meets the demand of the sterilization and high standard of laminar flow purification in operation room. 3.Adopting more than 5280 slices of reflection mirror, guaranteeing 1200 mm lighting depth. 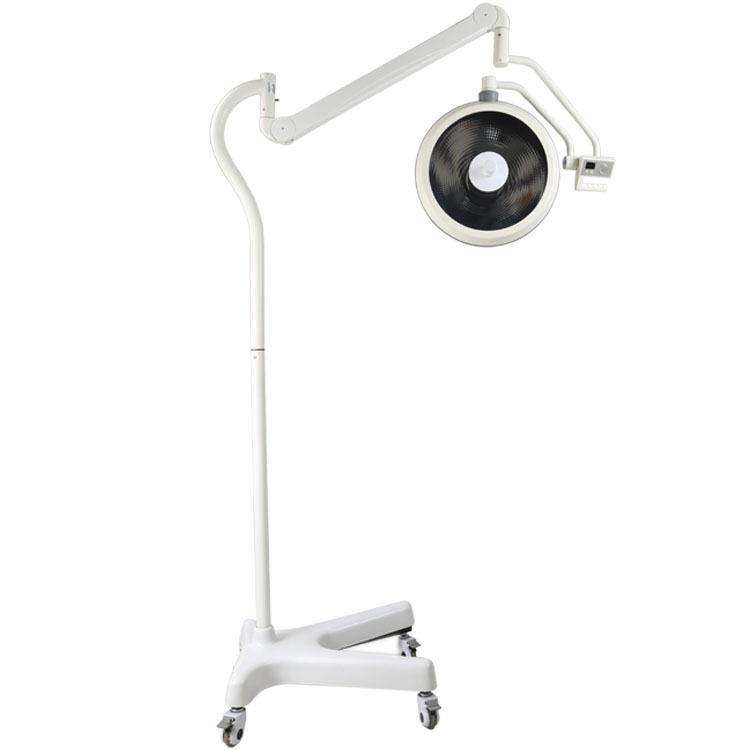 4.Special design of color temperature compensation provides closer to that of natural sunlight and helps the doctor to distribute operation parts clearly and accurately. 5.The back-up bulb will start work within 0.2 seconds automatically in case the main bulb is damaged,ensuring the continuation of surgical operation. There`s failure indication in the handle control panel,to recommend the bulb to be changed after operation. 6.Detachable handle jacket ,can be used for high temperature (â‰¤134â„ƒ)sterilized. 7.Digital-control circuit offers many functions, with 10 segment brightness selection stepless lighting regulation,brightness memory, low voltage start-up and power on self test etc. 8.The life-span of OSRAM halogen bulb is up to 1500 hours; the bulbs can be changed easily. 10.Balance arm can be optional Germany imported or domestic.